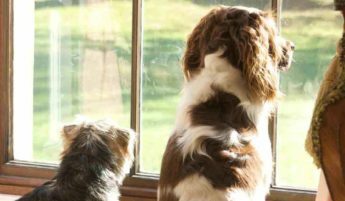 If you would like to take your pet away on a country house weekend, these houses are all suitable for well-behaved dogs. Invite your dog along and allow them to enjoy the weekend as much as you do. Always mention to the house owner in advance that you’d like to bring your dog(s). It is worth checking whether there are cleaning surcharges for pets and the general house rules, but in principle you’re good to go. Northfields House sleeps up to 26 people (plus dogs) or, for somewhere smaller, take a look at The Copse which sleeps 18.